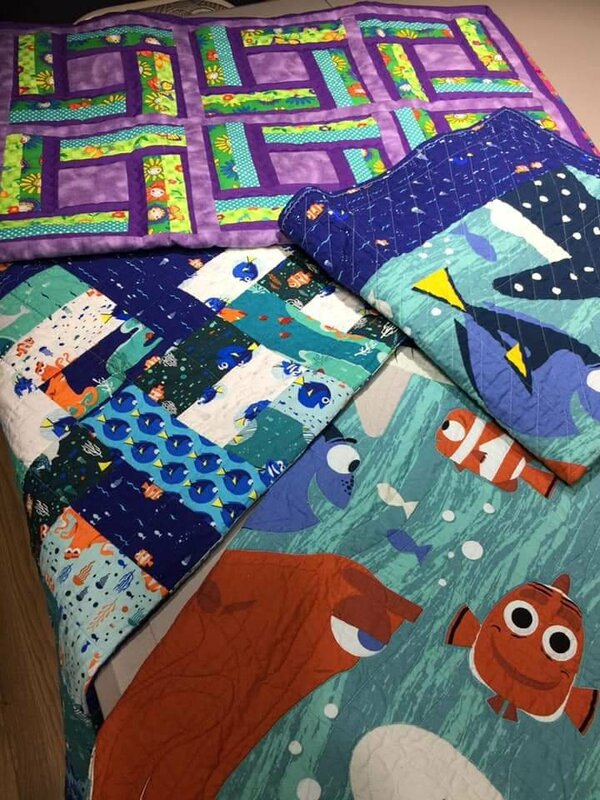 Quilts for Kids is a Community Service program that donates quilts, pillow cases, burp clothes and more to needy and/or ill children. Some of the organizations that have received quilts are Ronald McDonald Houses, Wait House and hospitals. We meet from 11 AM to 3 PM and you are welcome to come at any point and stay as long as you can. Bring your lunch if you want. Please bring your machine and cutting tools. You can bring fabric or use some of ours. If you are unable to make it, Adirondack Quilts is a drop off point for completed quilts or fabric donations. Completed quilts need to be machine quilted and machine bound.